The National Pálinka of Excellence Program is committed to responsible alcohol consumption. By entering the website, you confirm that you are of legal drinking age in the country where this site is accessed. For the pálinka distillery they renovated a 100 year old „machine house” on Hegykő, at the Fertő Hanság National Park. Their visual distillery received in 2014 the „most beautiful house at the Fertő area” recognition. In their family friendly environment they combine the traditions of distilling with the most modern technology. With energetic appearance their goal is to introduce this fantastic national beverage to the younger generation as well and to let them realize the myriad of fruit flavours. Their most prestigious award so far was the Zenit grape – Late sour cherry blend, which was awarded as „The best pálinka in Hungary in 2015”. Beside this they are proud to have dozens of gold medals and several Champion award pálinkas. The Alexander Pálinka House was founded in Szentes, it opened its gates in the spring of 2015. 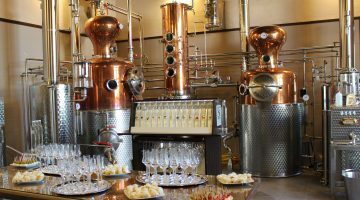 The delicious drinks are made at the factory by modern column technique, in two distilling pots. Their major aim is to offer quality pálinka for the demanding consumers in Csongrád county, hence in Szentes and around. Further on they are open for contract distilling as well. The characteristics of their products are the following: respect towards the traditional Hungarian flavours, excellent fruits and reserved elegance. The work has been confirmed by nothing less, than one of their first products has been selected as a Pálinka excellence. 6600 Szentes Hadzsy János út 3. The pálinka house, which is located in Dunaalmás, in Komárom-Esztergom county, got its name, anemone after the latin name of wind flower. 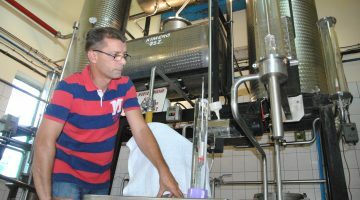 Their activities were started with the aim to get the surrounding people to know the art of pálinka production, to help, that with the right technology and production excellent quality pálinka could be made from the fruits. They use a modern continous distilling equipment of the Carl type made of copper to respect the traditions and craft perfect pálinka. 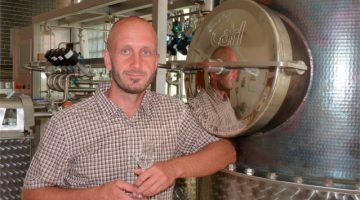 As a commercial distillery they started operating in 2014 in order to show the products and what they mean under perfect pálinka to the public. 2545 Dunaalmás, Almási út 147. 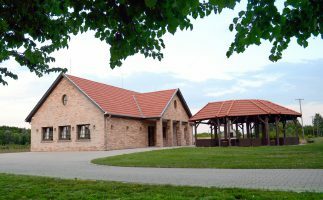 The Bánki Pálinka House is a family venture, established through a green field investment, which started to operate in 2012 in Dunakeszi. At the distillery they work with the traditional small pot equipment, creating quality pálinkas. According to their philosophy the most important is – when producing pálinka – to wake up the very spirit of the fruit. The aim of their pálinka is, after gaining a full life from the fruit, to accomplish the task, for which the fruit was previously grown; to dazzle the consumer by its unique flavour profile. The people in the hilly countryside of Vasi Hegyhát have cultivated the plants and fruits since ancient times, from the excellent fruits there is a possibility to create pálinka. 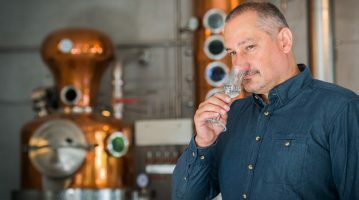 The family business was founded in 1990 by the owner couple in Győrvár, back then contract distilling took place and from the year of 2006 they operate as commercial distillery as well. Today they distribute under the brand of Birkás Pálinka their products. In their pálinka house in Győrvár the pálinka is produced traditionally in copper pot with modern equipment, they supervise every step of the production, thus they are able to guarantee the outstanding quality of every bottle. The good quality of the product is confirmed by the results of several competitions. Visitors have the chance to follow the chain of production. In their tasting house customers are spoiled by pálinka tasting. The Birkás family welcomes guests all year around. 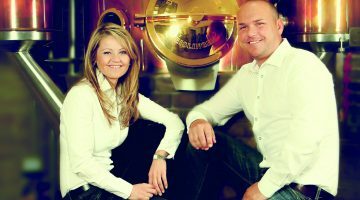 The Bolyhos family, following the ideas of the founder László Bolyhos, has dealt with pálinka distillation since 1994 in their factory at Újszilvási. Thanks to the development, in accordance of the requirements of the European Union, they have conducted since 2003 commercial distillation as well. Their aim is, that pálinka should become once again an appreciated, regularly and responsibly consumed national drink. Beside the traditional small pot distillation, they also distill with aroma column equipment, later it is used mainly for their 40 and 50 proof bedded pálinkas. To promote the quality bedded (ágyas) pálinkas, they created the Újszilvási Ágyaspálinka Festival, which took place for the 12th time in 2017, visited by several ten thousands of people. Thanks to the continuous expansion they await the customers with a sample shop and a pálinka tasting house, which satisfy all demands. 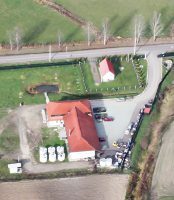 The Brill Pálinka House is a real family enterprise, but in terms of quality and knowledge, it belongs to Hungary´s top: 2013 it was the most awarded Hungarian Pálinka Distillery and they made twice (in 2010 and in 2013) Hungary´s best pálinka and in 2017 they received the title „Most Successful Hungarian Distillery”. 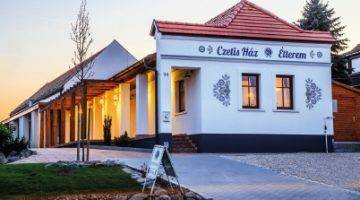 The Brill Pálinka House is a family owned manufactory, where since 2000 special pálinkas and distillates have been produced for the domestic top gastronomy. The distillery can be found in the village of Harc in Tolna county, beside the modern and innovative thoughts, the respect for the tradition play also an equally important role. Therefore the goal is to show the purest flavours and aromas, which are developing in the grape, the pomace, the fruit or perhaps in the vegetables. Their motto: „Pálinka is experience” – according to this in every drop of pálinka they wish to unlock the treasures of nature to the consumer. They continuously research the possibilities in pálinka and gastronomy, spread the experience, as pálinka is more than just a drink. 7172 Harc Siófoki u. 21. At the border of Balatonalmádi, the distillery is situated in the picturesque Vödörvölgy, they have been contract distilling since 1999 and since 2005 they have also been bottling their own branded products. 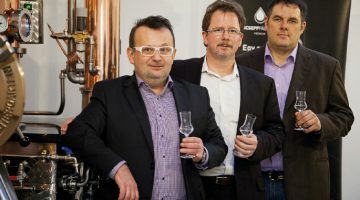 The family company is dedicated to the traditional pot-still distilling, but doesn’t discard the modern techniques and their self-developed, innovative technologies either. Their commitment towards renewable energy and green solutions is proven, as they use natural compost, return pomace by permission and reuse cooling water. They are happy to receive visitors, gourmets on their well-shaded tasting terrace, as well as offer a distillery visit with tasting through prior bookings. In the Jászság, the ERŐS family name has meant one with the craftmanship of pálinka distillation for generations. The family business, founded in 1929, is one of the oldest distilleries of the country, the knowledge went from father to son with today´s modern technology in the back. TRADITION AND MOMENTUM are reflected in their work, which means the traditional, so called small pot distillation with continuous innovation and development, as a result they came out with the 2016 ERŐS Pálinka name, the very essence of the fruit, the Pálinka of Jászság. 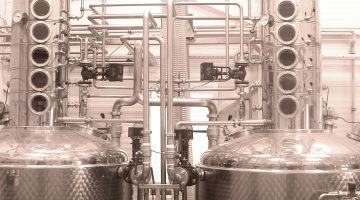 Their aim is to gain the same recognition, which they already have had at the contract distilling, with the commercially distilled products as well, to represent the highest quality with the most magnificent aroma and flavour. Their efforts are proven by the products presented here. The production started in 2010 at the magnificent, eye-catching rolling hills of Etyek. Only Hungarian, flawless quality fruit is used with the most appropriate level of ripeness. They process underneath the ground with the aid of high technology. The fermented mash (cefre) is separated from the clean spirit in the Müller type of twin-distilling unit. Before bottling the raw spirit rests for a minimum of six months, at certain pálinkas they use also various wood types for maturing to enhance special flavour profile. Perfect for big family occasions as well in beautiful surroundings, ideal site for tastings and events. 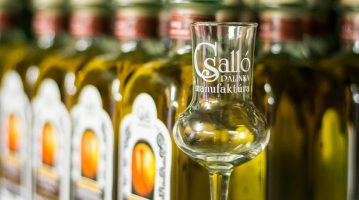 The Pálinka Manufactury of Gyula began to operate in the autumn of 2008. The majority of the process is done by hand, while several modern machines are also used, yet the proper care accompanies the path of the pálinka throughout. In 2012 the estate expanded with 15 hectares of fruit orchards. In 2015 several fruits have been planted such as: forest dogberry, mulberry, quince, plum, mahaleb cherry, apricot, Williams pear and apple tree. The future goal is to make pálinka out of own fruits, thereby increasing the quality of the pálinka. At present 56 different types of pálinka is made by the manufactory. Product families: Pálinka of Gyula, Baron Harruckern, Mélyvíz (Deep water) pálinka, ”Bedded” pálinka, Kosher pálinka. Since 2009 they have produced pálinkas with great care and attention through single step technique from their own grown fruit of the middle of their 400 hectares fruit orchards in their distillery in Ceglédbercel. At the distillery the distillation, the bottling and the labelling are done by an artisanal manner. Only clean fruit is the raw material for the seductive drink and the pálinkas are kept resting for half a year before bottling, so that the flavour and aromatic notes are able to round up. The reserved elegance and the natural style are characterizing the Harmatrázó Pálinkas, which are made out of 16 different fruits . To keep the artisanal typicity of the distillery, their aim is to make year after year better pálinkas, which the trade also recognizes. Their motto: Good pálinka for good people! The family business was launched in 1983 as private distillery. Meeting the requirements of the surrounding garden owners it provided rental distillation. The current owner took over in 1997 keeping the same profile. After several years of preparation in the middle of 2009 they obtained the license of commercial distillation and at the end of the year they produced from 12 different fruits, 5 different bottles, within two different alcohol volumes. In 2009 they opened a pálinka house in the centre of the town Gyula providing the products of 50 Hungarian distilleries and 16 wineries. 5720 Sarkad Hargita sétány 2. The Kunság-Szesz cPlc. 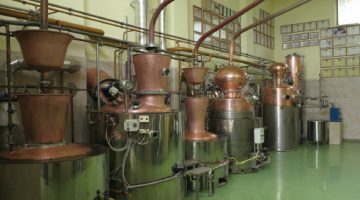 has been operating for 20 years as a family business; their main activity is the production of spirits through cold technique. Their excellent pálinkas are produced in the 2013 opened pálinka distillery, which is one of the biggest computer guided facilities of the country. The here made pálinkas are distributed under the brand name, Mátyás. All members of the Mátyás brand are elegant and clean, the fresh fruit is very much recognizable on the nose, as well as on the palate, that adds to the unforgettable experience to the consumer. In their distillery, in Kosd, tradition and technology come hand in hand. Their diploma master distillers’ knowledge and expertise guarantee the quality. Small pot and single – enhanced mash vaporization is used to produce pálinka. The process changes from fruit to fruit, according to which system it increases the most fruity and most harmonious side of the pálinka. With great attention to detail, knowledge and humility one can produce excellent pálinka, and only if this is achieved, they will let the pálinka onto the market. Traditional process. 100% Hungarian fruit. Premium quality. The pálinka distillery has been operating since 1943 in Madaras and since 1960 it has been led by the Lakatos family. The fruit, grown on the Southern-Plain, is excellent thanks to the region’s climatic conditions; the pálinkas, that are made out of them have a very special flavour, aroma and savoury character, that create an extraordinary pleasure for the consumer. The outstanding quality of the Madarasi Pálinkas is assured by the flawless raw material, the good technology, the expert knowledge and the more than 50 years of experience. The first commercially made pálinka was bottled in September 2008 and they still distribute them under the „Madarasi Pálinka” name. 6456 Madaras Szent István u. 105. 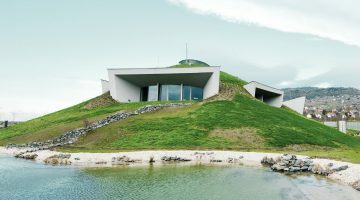 Without making compromises, the pálinkas have been produced using professional knowledge and experience since 1978 at the foothills of Bükk. The pálinkas are made with the traditional wood fired, red copper distiller and fine distiller caldrons, which today represent and preserve museum value. All aspects of the work are personally overseen: from the preparation of the fruit to the process of fermentation, slow and gentle distillation and special aging until the bottling. The ‘Mályinkai Pálinka’ is produced in limited numbers, perfect for presents, hand bottled in gift box, all of which enhance the quality of the pálinka – thus the value of the ’Hungarikum’. The product, highlighted here, received the highest esteem awarded by the professionals, since it has been chosen the best pálinka of Hungary in 2017. 3645 Mályinka, Árpád út 9. Márkáza is a beautifully sitated dead-end village, on the Mátra side of the Cserhát mountain. The entrepreneurship was establiched in this settlement, an association, where the members of the fondation are bound by century old fiendxhip. The aim of the Márkázi Pálinka Distillery is to create special quality pálinkas by selected Hungariuan fruit without compromises. Their guiding principles are dual: quality and innovtion. 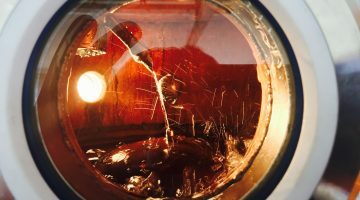 Combining the advanteges of the two step small pot and the modern one way thecnology, beside the boiling and distilling pot, they also use fractionating column for the the very first time in Hungary in extending the distillation process into three stages. The way, how they achieve truly characterful, rich flavour, yet respecting the tradition and reach out for a wide audience of pálinka lovers. 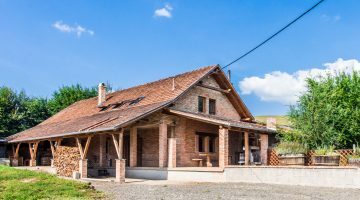 The Nobilis Pálinka farm is situated at the foot of the Vértes Mountains and is hidden away amongst the peaceful and quiet villages at the boundary of the nature preserve forests. The mission of the well-looked-after orchard is to produce the best raw material for pálinka production. Each bottle contains at least 6 kgs of noble fruit and – in the interest of obtaining the optimal alcohol content – water, which originates from a karst spring situated at the foot of the Vértes as well. This way, all Nobilis pálinkas become 100% natural. The apricot, the plum, the pear, the apple and the sour cherry turn into a noble spirit in the distillery of the Pálinka farm where both the most sophisticated technologies and the traditions are used for the distillation. In recognition of the profession several of their products own Champion and Pálinka Excellency titles. flavour of the region. Both distilling and bottling are done by artisanal methods, hence all the pálinkas are unique. Beside the traditional flavours, there are varieties, such as black sour cherry, wild pear, wild apple, rowanberry, mulberry, blackberry or elderberry. They have several award winning products, one of them is the Blackcurrant Pálinka, which became Pálinka Excellency. Reneszánsz Pálinka Distillery – Badacsonyi Pálinka House Ltd. The Reneszánsz (Renaissance) Badacsonyi Pálinka House is a small family run entrepreneurship in Badacsonyörs, they have been producing since March 2012 self-made premium category pálinkas. The Pálinka Manufactory is still young, yet the renaissance is all about renewal, the flavours, feelings and emotions the rebirth and perfect harmony. The technology is known and also liked in Hungary, yet in the very spirit of the renaissance they use a special method to get more fruit aroma and intensity for all the pálinka lovers. 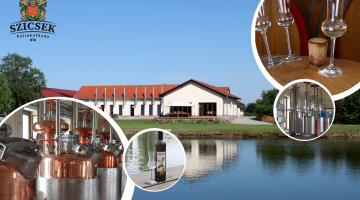 The Pálinka Distillery is focusing on the grape varieties of the Badacsony wine region, which are under protected designation of origin, producing grape and pomace pálinka. Visit them and enjoy the pleasant flavours in a wonderful atmosphere. Join the pálinka renaissance, like they joined. 8257 Badacsonyörs Füredi út 3. 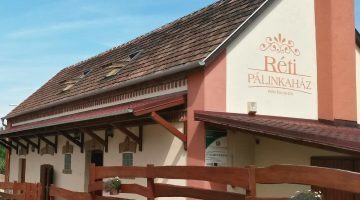 The pálinka distillery can be found beside Győr, in a small village, called Tárnokréti, in the building of a refurbished granary, it has been operating as a contract distillery since 2009 and also as commercial distillery since 2014. Their products are made by modern technology by one step distillery system from the well-known fruits of the region. Their specialities are the aromatic Irsai Olivér grape pálinka and the black sour cherry pálinka. Beside the distillery, in their guest house tastings are also possible. Accompanied by fine food the interested visitors will get to know the process of pálinka making, as well as getting expert advice. 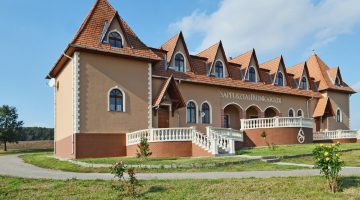 The family business started in 2005 in Sáppuszta, which belongs to the picturesque community of Damak, and at the very same place, where a building stands, that once was a noblemen’s castle. Beside respecting the traditions, innovation also plays an important role in the manufactory. 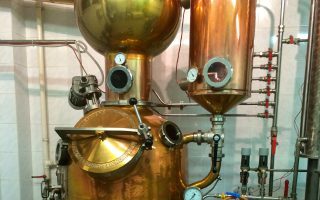 At the beginning they only did contract distilling, but since 2012 they also own self-produced commercially distilled products. In order to guarantee the perfect quality they have had quince plantations since 2013 and wild plum and apricot plantations since 2016 as well. Using own-cultivated fruit, modern technology and the creativity of the master distiller, they strive to achieve the perfect quality. Pálinkas are made in limited numbers, packed with attention to detail and into unique packaging to delight the pálinka lovers. 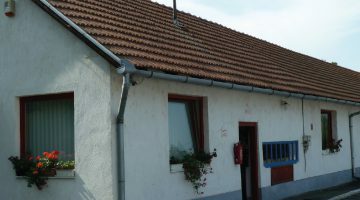 The Schiszler Pálinka is a family business, where the respect and love towards the nature, grape and fruit growing were taught by the owners’ parents. With the foundation of the pálinka distillery the aim was to create a premium product, which represents their values about the once again popular drink, the pálinka. Pálinka distillation is a true love story next to the winemaking. The outstanding quality of the pálinka is not only due to the excellent quality of the soil, but also due to the endless work of the people, who live in the region, people, who created the flourishing fruit orchards. The window, which separates the distillery from the tasting room is certainly one of the highlights of the visit and raises the heartbeat of every pálinka lover. Modern distillery, one of the country’s best fruit growing region, several decades of experience and the drive to create a quality drink in every detail – this is the secret of the Schiszler Pálinkas! 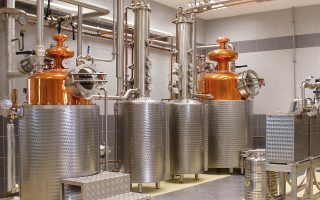 The distillery produces its pálinkás with traditional small pot distillery equipment with the help of a 450-litre steam heated and a 300-litre traditional Pistorious plate, direct steam heated refining pot. These provide the good quality spirit, the excellent flavours and the aromas. The traditional small pot distilled pálinkas are crafted by attention to detail with the excellent fruit materials of the region. 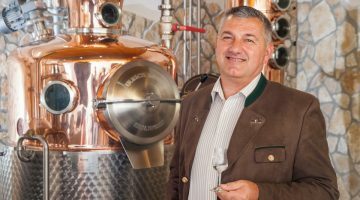 The message of the company is to preserve the traditions of the so called Kisüsti (small pot) distillation and to show the unique aromas and flavours from the fruits, produced in the region, and highlight them in the pálinkas. By visiting the distillery the whole process of the production can be observed from mashing to bottling and the great drinks can also be tasted. At the Western foothills of Bakony, raising from the Small Plain the Somló mountain, some reckons it got its name from the reddish dogwood (“som” in Hungarian). 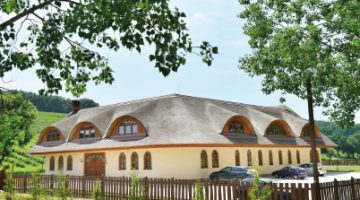 The Somló Spirit Pálinka House was opened in 2014, with the aim to supplement the traditional winemaking of the region, through establishing the most modern technology, energy saving, environmentally sound methods to domesticate quality pálinka production. 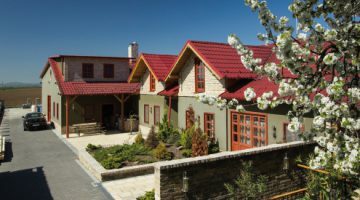 The pálinka distillery and the visitor centre are in complete harmony with the nature and their names have also been inspired by the dogwood, in Latin „cornus”. The excellent quality spirits come from the raw material of the Somló mountain and the close surroundings of the fruit grown areas around the Balaton Highlands. Their pálinka is produced with the aim of those who consume it, should get to know the region’s fruits, their scent and flavour, and be part of the enchantment as the spirit of the fruit becomes immortal in the pálinka. The Szóráth Pot still Pálinka produces pálinka through the traditional double small pot distillation, a true Hungarikum. 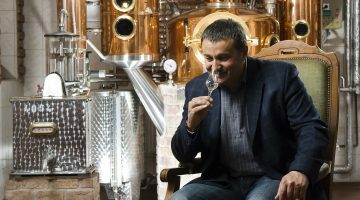 Family entrepreneurship with several decades of experience, which continues the pálinka distilling tradition in parts of the Unesco World Heritage region of Tokaj-Hegyalja and at area, which is under protected origin of Gönci apricot, Abaújszántó and Tállya. Grape and pomace pálinkas are virtually the iconic grape varieties of the historical demarcated wine region, the intensive Furmint, the characterful crisp Hárslevelű, the ripe and seductive Muscat Lunel and the prune aromatics of the aszú pomace with the distinct character of the terroir, the minerality. The Gönci apricot pálinka shares the marmalade like sweetness with sponge cake like character, aromatic and the long lasting fruit pálinkas show the typicity of the terroir. In the region of Szatmár-Bereg, in the village of Tarpa in a 1924 founded factory pálinka have been distilled for eight years. This tradition is continued by Tarpa Manufactory, which makes premium marmalade and pálinka from local fruits. It received several Hungarian and international awards in the last 17 years. Lately their plum pálinka of Szatmár won gold medal on the World Spirits Award organized in Klagenfurt, their apple pálinka of Szatmár won silver medal, and the Tarpa Manufactory received the „First Class Distillery” award. The Pálinka Distillery of Villány is located 4 km from Villány, situated in Magyarbóly. 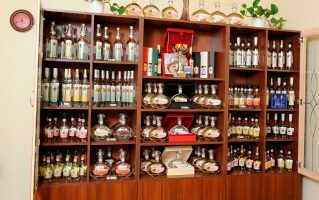 Their pálinkas and brandies are made from fruit and pomace, sourced from the region and from the famous wines of Villány. Their main profile is the pomace and grape pálinka, as well as the brandy and the spirit, made out of the fine lees of the wines. Their philosophy is to make the best pálinkas out of the best raw materials. After the wine culture of Villány, their aim is to lead the promotion of the pálinka culture of Villány, to point to the fact, that the local grape, pomace pálinkas and brandies, made from the wines of the region, can also proudly line up and support the local traditions of Villány. 7775 Magyarbóly Vasút u. 74. The Zimek Pálinka Manufactory started to operate in 2005 in Zamárdi. The distillery works to this very day with the mission in mind, that from the fruits grown around the Balaton, high quality pálinka shall be produced. The Zimek brand has received a number of awards and recognition amongst the pálinka lovers and expert judges during the last 11 years. Several outstanding achievements were reached on national and international competitions as well, and they were awarded three times the best pálinka distillery workshop of Hungary. The business is led by a new ownership, which is committed beside the founding philosophy and sees it as important to increase the fame of the premium pálinkas on the national, but also international scene. The philosophy: „Fresh fruit, clean water, expertise, tradition”. 8621 Zamárdi Endrédi út 061/24. HRSZ. 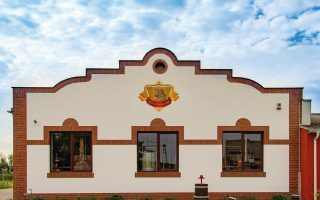 The Zsindelyes Pálinka Distillery started to operate in 1984 as a family business in Érpatak in Szabolcs-Szatmár-Bereg county. The name of the distillery recalls the classical roof material (“zsindely” meaning “shingle” in English) of the region, hence highlighting the traditional pálinka distillation as well. Through strict quality expectation and professional precision the outstanding flavour profile and the aromas create their pálinkas, making them one of the most well-known brands of the country. Their tasting house is like a museum, here the object of the industrial, historical time tells stories about the past pálinka production and the pictures explain the story of the Zsindelyes Pálinka Distillery. All can be experienced by the visitors, accompanied by excellent pálinkas and traditional food – like the stuffed cabbage á la Szabolcs style. The pálinkas of Cruxx Gemina are made in their distillery, which was established in 2011 in Nagykeresztúr in Nógrád county, using first and foremost berries and wild fruits, that are typical for the region. The distillery also produces traditional products, but always focuses on premium quality. With their activities they try to strengthen the region’s fruit growth and processing, with their technical and spiritual infrastructure, they provide the development of quality fruit production and the control of the processing. The creative wines and liqueurs, made out of real fruits, are the part of their product portfolio. With their innovative and new products, they wish to show the unique rich flavours of the region and the country, the endless possibilities, which lie in the fruits. The Várda Drink Pálinka Distillery has one of the longest traditions in the country, excellent pálinkas have been made here since 1953. 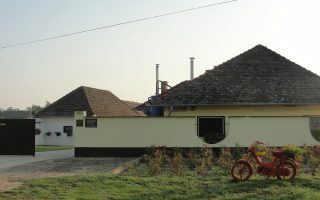 As time moved on, they combined the traditional techniques with modern methods, today they also produce pálinka with the most modern, computer-controlled distillery systems. Their pálinkas received numerous national and international awards. Especially noteworthy are the apple pálinka of Szabolcs and the plum pálinka of Szatmár, which are under protected origin, and also eligible for the Excellent Hungarian Quality Food trademark. 4600 Kisvárda Temesvári út 4.